The College congratulates Professor Victor Hoffbrand (Medicine, 1953) who has received the Wallace H. Coulter Award for Lifetime Achievement in Hematology from the American Society of Hematology. Professor Hoffbrand is celebrated for his significant contributions to education. Throughout his career, he authored and edited several of the leading haematology textbooks. Notably, he jointly wrote two standard undergraduate textbooks, Hoffbrand’s Essential Haematology and Haematology at a Glance. Professor Hoffbrand’s research interests are broad and have spanned three major research areas: megaloblastic anaemia, malignant haematology, and iron chelation. Of note, his clinical research in iron chelation led to the licensing of the first oral iron chelator, deferiprone, which was more tolerable than the only other such medicine available and therefore contributed to longer life expectancy for people with thalassaemia major. Early in his career, he established the first reliable method of measuring red cell folate, an indicator of folate deficiency, and elucidated the DNA defect in megaloblastic anaemia. Later on, Professor Hoffbrand and a team of researchers pioneered the use of biochemical, immunological, and molecular diagnostic markers to classify leukaemias and lymphomas and performed early tests for minimal residual disease in acute lymphoblastic leukaemia. They also established one of the first bone marrow transplantation centers in the United Kingdom and demonstrated that T-cell depletion of donor marrow could prevent graft-versus-host disease. 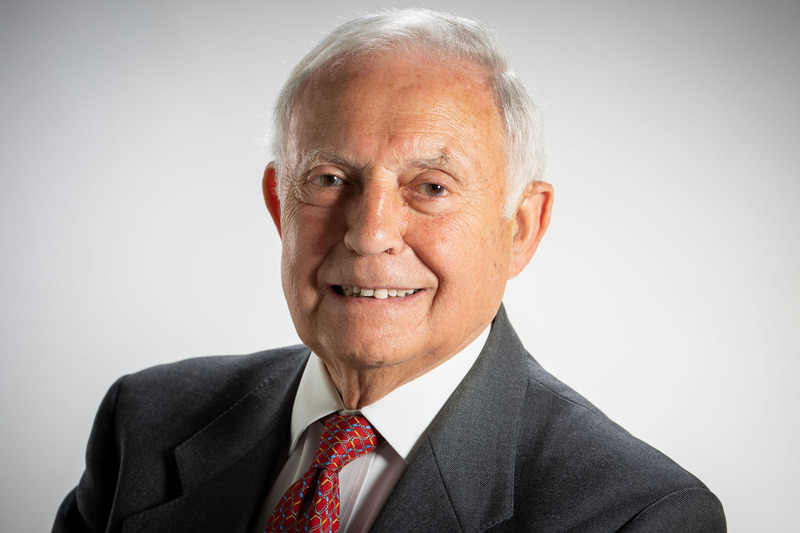 Through much of his career, Professor Hoffbrand dedicated himself to training future generations of haematologists in research and in clinical haematology. His efforts spanned the globe, with trainees and research fellows from the United Kingdom and 41 additional countries, many of whom are now heads of haematology departments.